Earlier this year, Nintendo revealed The Legend of Zelda: Breath of the Wild had sold almost ten million units worldwide. This technically made it the best-selling Zelda outing of all time - if you didn’t include remasters of existing releases. As revealed by Media Create last week, Breath of the Wild has now surpassed another milestone. In Japan, it’s sold more than 1.25 million copies across the Switch and Wii U. This places it ahead of The Legend of Zelda: Ocarina of Time - which has held the top spot as the best-selling 3D Zelda game since 1998. This now makes Link's latest modern outing the best-selling 3D Zelda title of all-time in Nintendo's homeland. 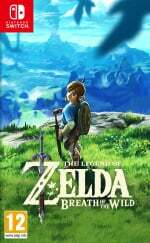 Considering the overall popularity of the Switch in Japan, along with Breath of the Wild being a launch game, this explains why sales for this Zelda have been so impressive. The question is, will it be able to stay in this position as long as Ocarina of Time? What do you think about Breath of the Wild breaking all of these records? Should Nintendo experiment more with the franchise to ensure it remains fresh? Are you still playing this game? Tell us below. What about the original Legend of Zelda and Zelda 2? I read somewhere that that those are the best selling games in Japan.Does that mean that BTOW is the best selling 3D Zelda? It’s the GOAT of Zeldas...and perhaps of all games. So no surprises here. A telling testament for both an amazing game and a cool system! Great accomplishment. Obviously the game was amazing so it’s nice to see it break all these records. I’m still playing BotW. Just restarted it on my Switch after first putting 100 hours into it on Wii U. Second favorite game of all time so I'm not really surprised. And the system is not even 2 years old. Even if no new content is ever added, you know its going to keep on selling, especially when the Switch someday gets a Nintendo Selects budget range. I figure it would finally cement itself on it's own two feet. Now it's in history Nintendo-Zelda are synonymous with each other. @Angelic_Lapras_King "especially when the Switch someday gets a Nintendo Selects budget range"
Or in another 6 months when they sell a "complete" Edition for $60 rather than a Starter Pack for $60. Not to be confused with last years Explorer's Edition for $60. "The question is, will it be able to stay in this position as long as Ocarina of Time?" I hope not. As great as BOTW is, I want to see better and better experiences. It really is the best Zelda, imo, of all time. I must have played ALTTP 30+ times all the way through and never thought another game would replace it as my top Zelda game. But god, I could buy nothing more than expansions for BOTW for the rest of my years and I'd be happy. It's the perfect game. In the words of the great, Bret the Hitman Hart, it's the best there Is, the best there was, and the best there ever will be.. Funny, i still haven't continue my BOTW. Still at the Beginning part. Maybe i still not in the mood to play BOTW due to my other Hypes on other games. Well deserved. It's definitely one of the best games I've played. Honestly, I really would prefer the next Zelda to have more focus on story though as that's kinda lacking in Breath of the Wild. Kudos to Nintendo, truly a resplendent masterpiece. Great for the series, Switch, Nintendo and us as fans. I wasn’t fussed about it personally but that’s ok, can’t like everything. 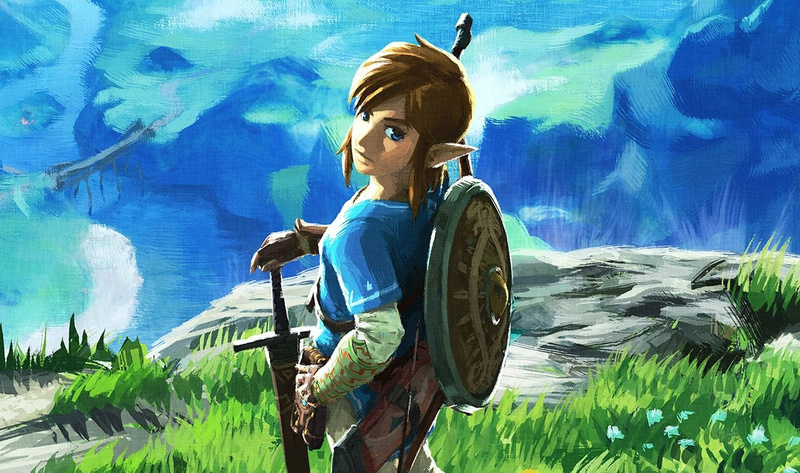 I think that Breath of the Wild expanded the series to a lot of new people and, differently from Ocarina, it came in a time that everyone is connected and news run fast, really fast so the marketing reached new people that perhaps never played a Zelda game. Personally I think that the next one will sell more as the awareness of the series is bigger than ever was. Not as good or as impactful as Ocarina of Time was when it was released in my view. Nothing for me will top playing OoT for the first time back in December 1998, it was so magical. The 90’s were my formative years, so of course I’ll never get those feelings for video games back, hence my love of retro games today. A Link to the Past will always be my favourite Zelda game though. That just nailed it with the puzzles and dungeons. Well done for BotW though. Good to see Nintendo still have modern magic too. @GravyThief, I had forgot how amazing Ocarina of Time is untill I had purchased the remaster on the 3DS which is an amazing remaster in my opinion, but that brought back those feelings of how truly special and masterful of a game Ocarina of Time is. Though for me it's a toss up between the first game in the series which I got as a fluke my cousin and I rented it from our local video rental store and I at first did not want to rent it didn't think I would like it how wrong I was it was all I played for the next week and Skyward Sword which has alot of sentimental value to me as well I loved the Loftwings in that Zelda story . The Legand of Zelda is such an iconic series at this point it really is great to see it get the recognition it truly deserves. I can't wait until we finally have the TV free so I can watch in frustration as my GF just idles about and refuses to learn the combat system in Breath of the Wild again. I love BotW so much that watching someone else experience it on their own is very entertaining as well. I just hope they don't let the engine go to waist now. There's so much potential there, for improvements (like underwater stuff), for new Zelda games and even for new non-zelda games. It really is a great engine in my opinion. It's the best Zelda everrrrr! @joeyburger Wow I thought school holidays were over. 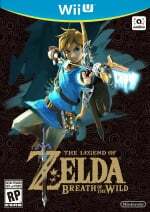 While I think it is the best zelda game because of all the content and the huge world, it still might not be as much as an impact as OOT was when it was released. I did not play it back then as I had a Playstation, and while OOT is a good game I don’t think it’s THAT good. And my personal favourite zelda game ever is link’s awakening. @molliolli182 Link's Awakening was my first Zelda experience so I wonder if that's why I have such a soft spot for it. Still a fantastic game today. And yet I still haven't got around to playing it yet! @wazlon Mine too! I remember when I got to buy a gameboy color and saw the zelda screenshots on the box. I didn’t know what game it was but I knew i needed to have it. So maybe because it was the first zelda experience coupled with the high expectations from those screenshots, or just the fact that it’s a wonderful game, it remains my favourite of the series. @molliolli182 I first got Link's Awakening on the original gameboy. I didn't even know what it was either and didn't even see any screenshots as the box wasn't on display, it just was labelled as "Nintendo Classics" at Toys R Us so thought I'd try it. The DX version on the gameboy color is great, the game is so much better in color and at the time I had the gameboy printer too so could print off all the pictures. It's definitely one of my favourite games ever. Great news! From what I heard Zelda wasn't that hot anymore in Japan. But that seems to have changed with this title.